Thanks to Shawn Rosvold for the photo of last night’s share! 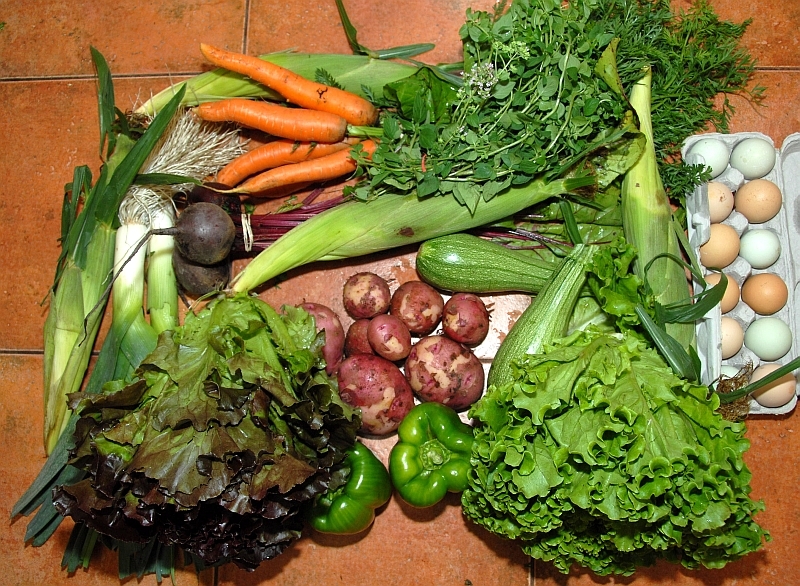 The share included a head of red lettuce, a head of green lettuce, red potatoes, zucchini, leeks, green peppers, carrots, beets, corn, and fresh oregano. Be sure to check out the forum for recipe ideas, or to post your own! Previous Previous post: Cooking Demo Week 7: A Success! Next Next post: Happy Birthday Maia!